His mission became to create an appealing, accessible craft beer — malty and flavorful. He started making a Vienna lager, and knew he was ready when, in blind taste tests, he pitted his lager against Sam Adams and Brooklyn Brewery’s lager and won. With the help of a Kickstarter campaign, Nick raised enough money to buy the Old Trolley Barn in Yonkers, which at one point housed trolley cars. 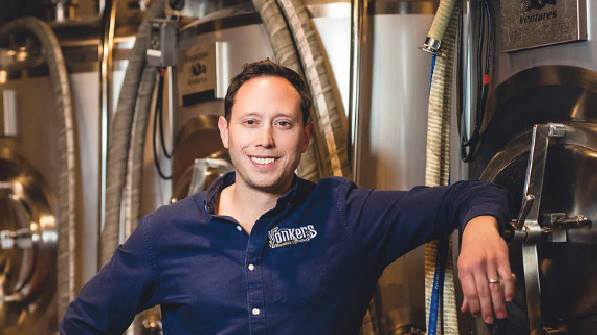 After a complete rebuild of the space, John and Nick opened the Yonkers Brewing Co. in January 2015. 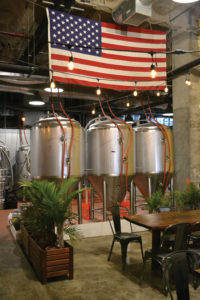 A combination microbrewery and brew pub, Yonkers Brewing Co. offers 12 different beers on tap and brews 90% of the beer they serve. John’s favorite remains their original Vienna-style lager. The brew pub also serves a wide variety of creative pub food. In 1983, there were 49 breweries in the U.S. By the end of 2017, there were over 8,600 breweries. New York State is home to over 450 breweries, with beer being brewed in 57 of the 62 counties. The beer industry supported approximately 1.75 million jobs in 2015.